This list consists of books specifically about theology, the Bible, or simple faith. I may need to break this into sub-groups, but for now, I want to maintain that scholarship and academic theology have a place in the faith lives of all Christians. In order to not give into the temptation to segregate theology from Christian living, I will keep these books together. I will also note how difficult I think they are insofar as academic jargon, readability and length with a scale from Very Simple to Very Tough. When I was 19, this book helped me turn my life around. Shane writes with enthusiasm and hope. He sees a possibility for true community, true love, and true faith. His words flow from a heartbeat deeply in love with G-d. The book itself is primarily autobiographical. It explores growing up in the culture of the religious right, breaking free to find the religious left, and only feeling once again dissatisfied. He proceeds to land on a faith that embraces and forgives while working for justice. Claiborne speaks of a risky faith that moves beyond imperialism, nationalism, and ethnocentrism. 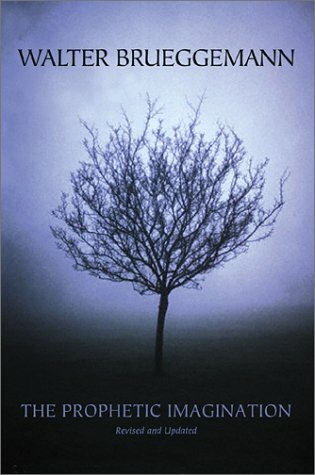 This is a must read for anyone who has become dissatisfied with her safe faith. This was the first real book about the Bible that I ever read. I still remember reading it Winter quarter of my Sophomore year in college wondering why we were reading all the other stupid books assigned to us. Walter Brueggemann, in erudite prose, sets forth in this book a 6 chapter thesis. First, he compares Israel under the guidance of the prophet Moses versus the king Solomon (chs. 1 and 2). Under Moses, Israel communally wept and questioned. Moses permitted groaning. On the contrary, Solomon silenced questioning. Israel became subject to monarchic rule without their own voice. He proceeds to indicate how to reclaim that voice in chapters 3 and 4 by comparing Jeremiah and Second Isaiah (Isaiah 40-66). In Jeremiah, the prophet speaks the truth: Israel has abandoned G-d and must face exile. He does this through mourning. Jeremiah brings Israel to a funeral. Second Isaiah, however, writing during and after the exile preaches hope and new life. In the final chapters, Brueggemann shows how Jesus is a prophet like Moses who enables people to groan, and also, he mourns and brings new life in the way that Jeremiah and Second Isaiah do. 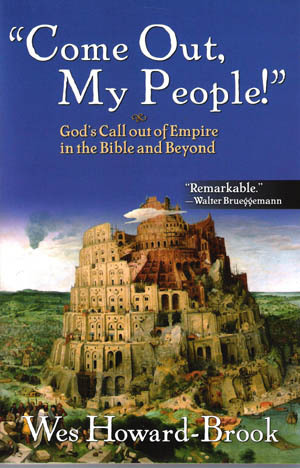 This book opened me up to questioning the purported “good” reign of Solomon. It helped me see how groaning and weeping must be our form of protest against the imperial powers of the world, and it will not let me forget that we must breathe new life! Unlike every other book on my lists, I actually know the author of this book. As Wes has expressed to me, this book stands as a construction for how to deal with the violence, genocide, and monarchical evil in the Hebrew Bible. What we wants to ask is, “How should we as followers of Jesus read the texts that seem diametrically opposed to the way of Jesus?” His results are, for lack of a better word, stunning. His baseline proposal argues that despite all our thousands of religions in the world, we can narrow them down to two broad categories: the Religion of Empire and the Religion of Creation. The Religion of Empire supports violence, power in the hands of the few, scarcity, urbanization, suspicion of neighbors, centralized worship of gods controlled by the elite, and fear; the Religion of Creation supports peace without violence, egalitarian styles of leadership, abundance, connection to the natural processes of the earth, love of neighbors, de-centralized worship of G*D controlled by the worshippers wherever they may be, and love. He believes we must read the Hebrew Bible through the lens of Jesus, one who came to show us G*D in the Religion of Creation. A scholarly book, anyone who likes long books and can read at a college level should not have a problem with this. For me, reading it was immensely liberating while rather difficult because I do not know how to convey its amazing ideas to people who, upon hearing some simple ideas from the book, will immediately shut me out. Nevertheless, I love this book and its author. Both are fantastic! This book comes first in a series titled “Paul in Critical Contexts” by Fortress Press. It took me forever to read since it is incredibly scholarly and well-researched. It blew my mind. Writing from an anti-patriarchal, queer perspective, in what is called a gender-critical analysis, Professor Lopez, in breathtaking fashion, unearths the Paul who serves to oppress women and the LGBTQqi community by showing how he identified himself with those conquered by the Roman Empire. Since Paul’s message contrasted sharply with the gospel of the empire and the imperial ideology mandated strict gender roles based primarily on power relationships, Paul could not simply be re-entrenching the Roman imperial ideology into the communities he planted. She shows, convincingly, how Rome viewed themselves as exceptional and went about conquering “the nations” which is the phrase our Bibles translate as “the Gentiles”. By associating himself with “the nations”, Paul stood on the side of those who typically received representation as defeated women in art and literature. That is, nations were personified as conquered, raped, or murdered women while the Romans were portrayed as strong, impenetrable, warrior men. Paul’s refusal to identify himself as one of these impenetrable men, Lopez argues, places him on the side of women and the queer community, both. This is the best book I have ever read on Paul. It was way, way better than the stupid book on Paul I had to read in college. This extremely easy to read book is a very short primer on Queer Theology. It discusses nearly all major doctrinal issues within Christianity through a lens of queer theory. 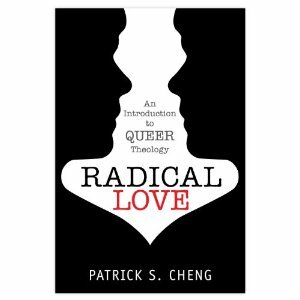 Cheng makes the argument, conclusively in my opinion, that Christian theology and the love of G*D are inherently queer. That is to say, they break down boundaries. For example, Jesus breaks down the boundaries between what is human and what is divine and the Trinity breaks down the boundaries of what is self and monotheism. There are many other ways in which faith and G*D begin to blur the lines of our assumptions. Not only would I recommend this to LGB/TQqi people trying to reconcile their faith to their sexuality or gender identity, I would recommend this to any person interested in theology. It is such a magnificent little book with study questions and further reading at the end of every chapter and sub-chapter. 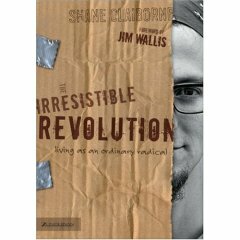 It is perfect for church small groups, college Bible studies, and even high school youth groups. 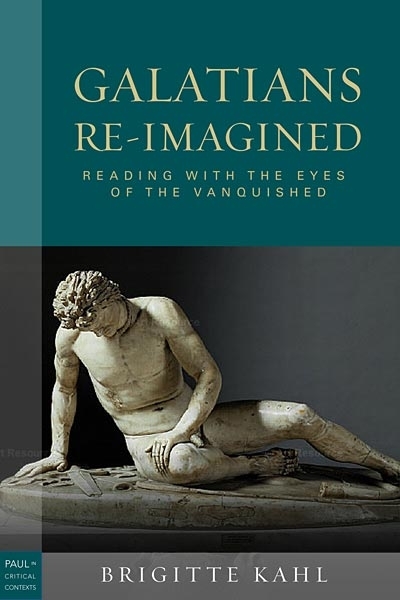 Out of the same series as the aforementioned Apostle to the Conquered, Galatians Re-Imagined draws upon and expands the methodological style of Davina Lopez’s book. Fittingly, Brigette Kahl served as Lopez’s dissertation supervisor at Union Theological Seminary. This might possibly be one of the greatest books written on Paul ever, but due to its unconventional perspectives, it will not receive the type of notoriety it deserves. Kahl early on in the book explains her reasoning for writing. She discloses her own story of growing up in East Germany near to where Martin Luther performed many of acts of protest against the Roman Catholics. She laments the fact that Lutheran readings of Paul and Galatians in particular have led to a prominently anti-Jewish understanding of the Christian Testament. Poignantly aware of the Holocaust and Lutheran biblical beliefs that contributed to it, she hopes with this book to re-imagine Paul so that the Bible may never be used for genocide again! 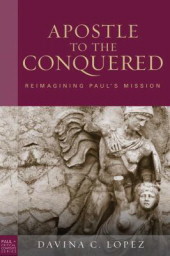 Taking to task the older ways of reading and the newer brand of Pauline scholarship known as “The New Perspective on Paul”, both of whom see the conflict in Galatians as a conflict between the Jews and the Gentiles, Kahl re-imagines the issues facing the Galatians ekklesias. She asserts that the Galatians existed as the archetypal barbarian enemies of Rome who Julius Caesar pacified on his rise to becoming emperor. Eventually, the empire turned the Galatian people into upstanding citizens under the salvation of the Roman emperor. When Paul proclaimed the counter-imperial “good news” to the Galatians, they began to resist Rome and its imperial cult. At the same time, the Jews who endured a similar pacification by the Romans, were allowed special privileges to not participate in emperor-worship. Thus, she believes that some of the people were trying to convince the Galatians to circumcise themselves so that they could get away with non-participation in the imperial cult. Paul believes this is wrong, and he encourages them not to “convert” in order to resist, but rather to resist participating in the imperial cult by the freedom they have in Jesus. The actual depth of the book goes way beyond what I just said, but this sums it up. I believe that this book’s thesis would totally change the trajectory of the Church if this was how we understood Galatians.